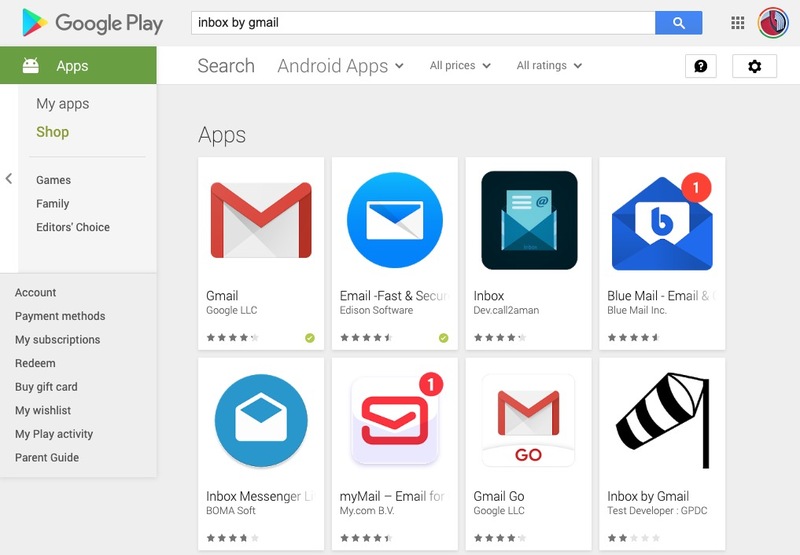 We’re days from Google’s Inbox email app being shutdown for good. That’s sad for various reasons, but if you go looking for the app today, it won’t be easy to find. At this point, Google has all but hidden the Inbox app should you go looking for it and certainly doesn’t want anyone new giving it a spin before shutting it down at the end of the month. 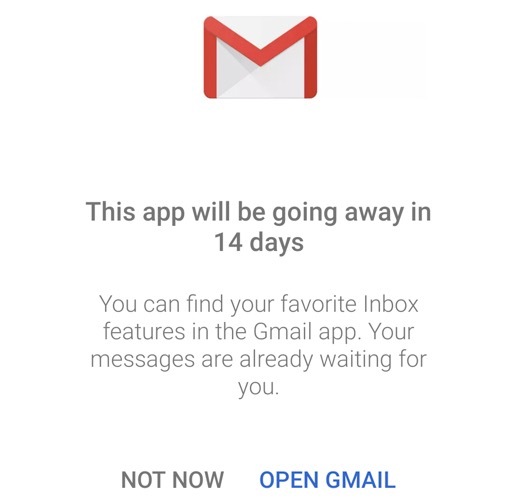 Last night, Google starting showing Inbox users a countdown for the number of days left before they’ll force everyone to switch over to Gmail or something else. The day counter started at 15 days and now shows 14 days, which points to April 2 being the final day of Inbox. That notice got me wondering if the app was even around any longer. I had uninstalled it from my Galaxy S10e to give Gmail a spin for a bit and decided to try and re-install for a couple of last days of true email bliss and couldn’t find it. If you search for Inbox on Google Play, it won’t show up. Google has killed it from showing up in search listings. If you search from the Google Search bar on your phone, Google is telling you to use Gmail and won’t even return results for Inbox. I even found a Play link to Inbox at some point and it directed me to an “Item not found” page. This is all very sad. Now, if you have the direct link to it, it’s still there and could be for some time. But if you were hoping at this late stage that Google might change their mind and let Inbox live on, that’s looking as doubtful as ever. Inbox is dead and your choice becomes Gmail or something else in 14 days. Still not sure why Inbox users are so sad about this? Read this post on Inbox features we still need in Gmail for it to be anything like the best email app ever made.